Dora Yim is an up-and-coming fashion designer in Dallas and beyond. What I find most interesting about Dora is that she's not only talented; she's smart, hard-working, and passionate. While sipping coffee at Pearl Cup, she revealed so many defining moments for her as a designer that really gave me insight into who she is. Let's talk about her collection, d.p.c. by Dora Yim (check out her website). 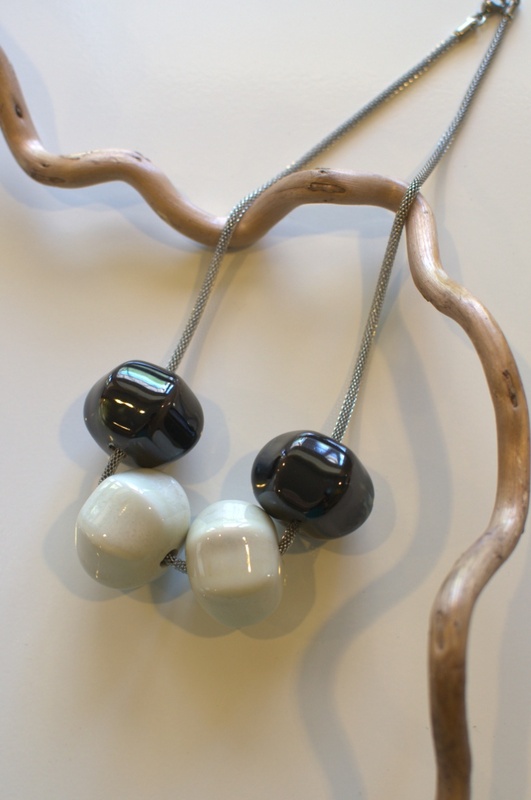 Her clothes and accessories are accessible, reasonably priced, and transition well from day to evening. While her target age is 27, her collection is for women of all ages. It's simplistic, elegant, and timeless. Dora's background is in accounting, which gives her an edge on the competition. With her business sense, she's achieved so much in the fashion industry. She's got some great words of wisdom for those who want to follow in her footsteps. Observation of mentors and superiors in your field is the key to learning about the reality of the industry, according to Ms. Yim. Her signature is "timeless style" just like her fashion icon, Mademoiselle Chanel. This year has been an exciting one for Dora's career. This past February, I was introduced to Dora's collection of jewelry and clothing at the Pin Show in Dallas. She also displayed her collection at the WWD Magic conference in Las Vegas. 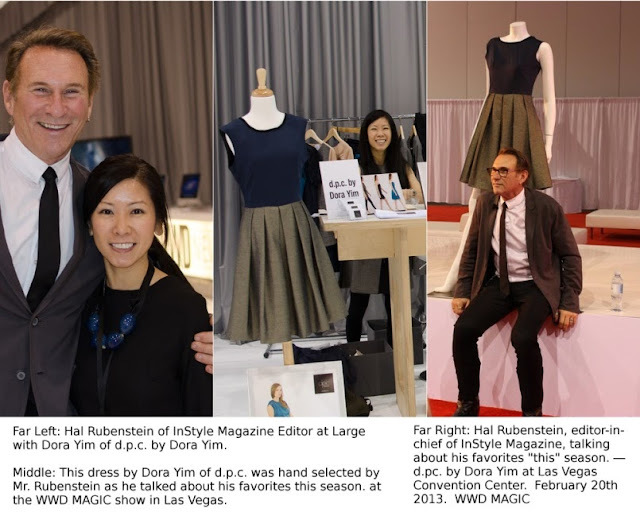 In Vegas, Hal Rubenstein, the fashion director of InStyle magazine, featured her dress on stage as a must-have for fall in front of a team of buyers. Later this year, a senior designer for JCP was in awe of her sewing skills at an Etsy vendor event in Dallas. This October, she's showing her latest collection at Phoenix Fashion Week. I visited Dora's studio where she's working on her Spring 2014 collection that will be unveiled at Phoenix Fashion Week. Pattern-making and sketching are a few essential skills for fashion design, and Dora taught herself how to do it all. When she's not designing or being recruited by someone big in the industry, she loves finding inspiration. Shopping, trying new things, and playing tennis are some of her favorite things to do. On a nice weekend, you might find her enjoying the outdoors on the Katy Trail or at White Rock Lake. Check out Dora's website and buy her designs because this star is rising fast!